Jen Gallacher + Simple Stories = awesome video! In today's "Create Today" video, designer Jen Gallacher highlights the "I Am" collection from Simple Stories. She then walks you through the pages she created for her "I Am" mini album. Learn more about this pocket-page album that also includes full-size pages; as well as special interactive elements! Watch today's video for a look at all of the pages in this album! 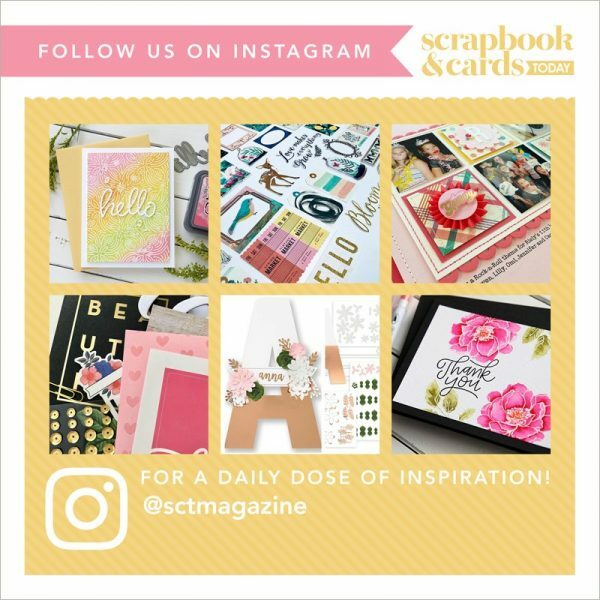 Then take a moment to subscribe to the Scrapbook & Cards Today Magazine Youtube channel HERE so you are notified of when we upload new videos. Look for new videos each month and with each Crop & Create: Delivered seasonal kit! Now go grab a cup of something, sit back, relax and enjoy today's inspiring video! “Ask Jen” process video and Day 23 featuring Crate Paper! Just Ask Jen: Creating a layout on a diagonal! “Seas the Day” with Jen Gallacher! “Just Ask Jen” process video Tuesday! What an amazing album. Love all the embellishments and interactive elements. Thanks for sharing. After watching the video I can totally see why it is coveted and a best seller! It’s a must have on my wish list! Thank you for sharing this awesome video! Love this. The i am collection is my favorite new one from all the manufacturers. What a great collection! I love all the different items and the colors are beautiful!!! Nice job! Thank you for the great video, Jen, and some really cool ideas. I have several components of this lovely collection and you have inspired me to do a special project with it! Awesome!! Must get this collection so I can do an album on myself for my grandchildren! Great job!, so many wonderful ideas and the paper collection is inspiring. Thanks Jen for letting us see a few glimpses of you and your perspective of your life at the moment. Great video and excellently done. I have the products so now I have to play. Love how you did this. Very interesting and innovative!! I love it! What a great collection. Jen did a wonderful job describing the book she created and how she used the various pieces available – makes me want to do the same! Gorgeous album, Jen! Love how you have used so many pieces to embellish this beautiful collection. Thanks for the tour! I’m in love! I have never been so excited about a collection as this one! Loved the video – everything was so beautifully explained, displayed, and created. At the age of almost 77, this is something I would definitely want to do to leave a little bit of me for my children, grandchildren, and great-grandchildren. Love, love, love it all! This is a fantastic collection and so inspiring. I would love to make this for my daughter so when I’m gone from this earth she will have a memory of me and my life journey to hold on to. Thank you for the opportunity to own this. Awesome!